Murfeiss Lucia Collection 2-Light ceiling fixture in burnished silver finish, features steel/aluminum body construction. 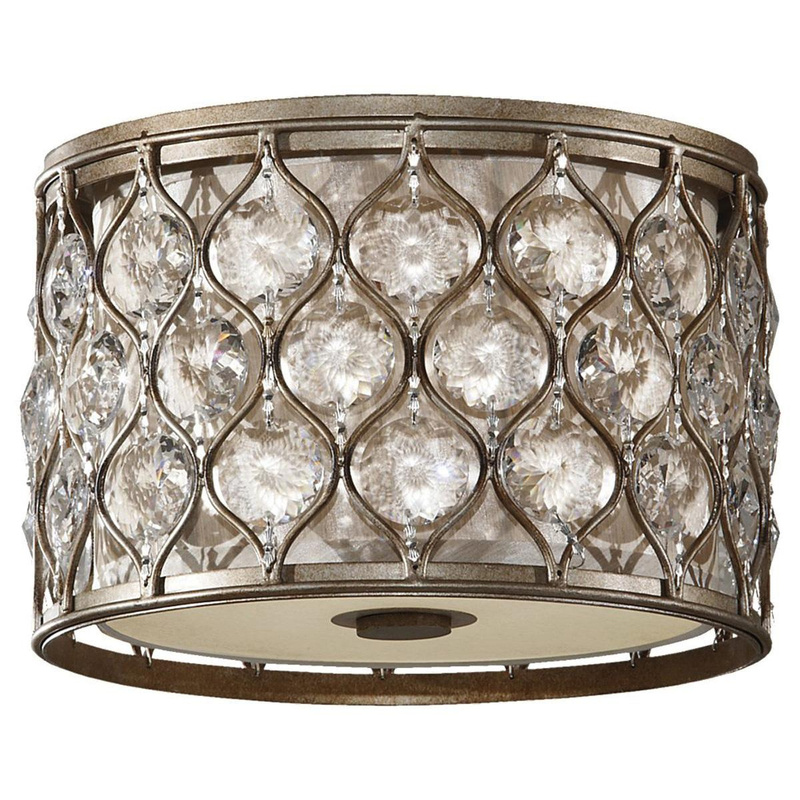 This 10-1/4-Inch Dia beige fabric shade of this fixture brings elegance to home. This fixture supports two 60-Watt A-19 incandescent lamps that have voltage rating of 120-Volts. This fixture measures 12-1/4-Inch Dia x 8-Inch. Flush mountable fixture comes with 8-Inch lead wire for hassle-free installation. It is ideal for indoor purpose. Fixture is UL listed for dry locations.